Here is another great pizza I will be adding to my list of fun Halloween pizza ideas! This grilled ghostly pizza with green olive spiders would be a yummy Halloween dinner that the kids could even put together themselves. Then you could throw them on the grill and still get out of the house in time for trick-or-treating! 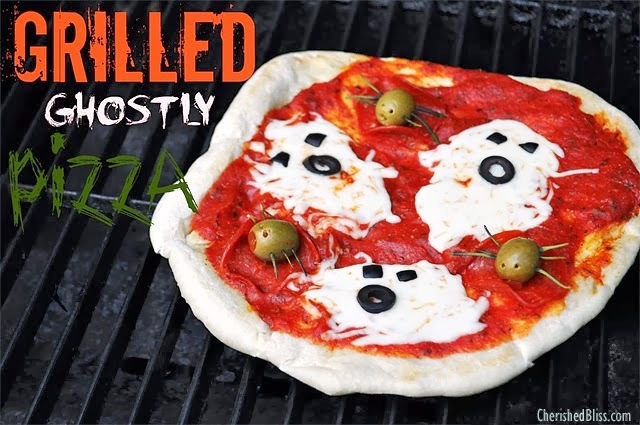 You can check out how to make these grilled ghost Halloween pizzas over at Cherished Bliss.